Navajo artist Abraham Begay is an award-winning artist who also owns his own gallery in Flagstaff, Arizona. 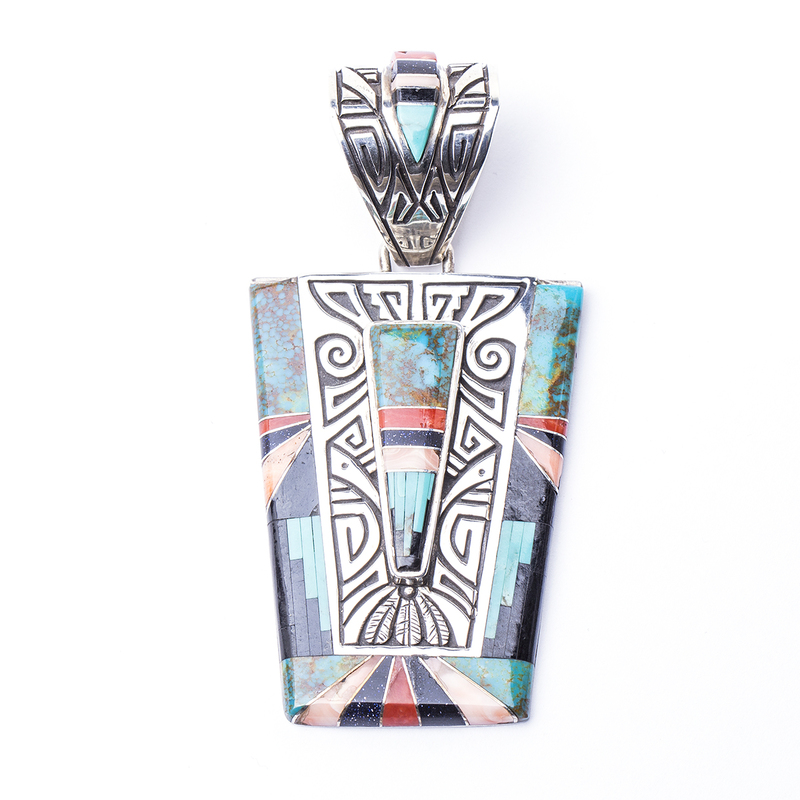 His silverwork is in the Hopi style but with his own technique of carving away instead of overlaying two sheets of silver. 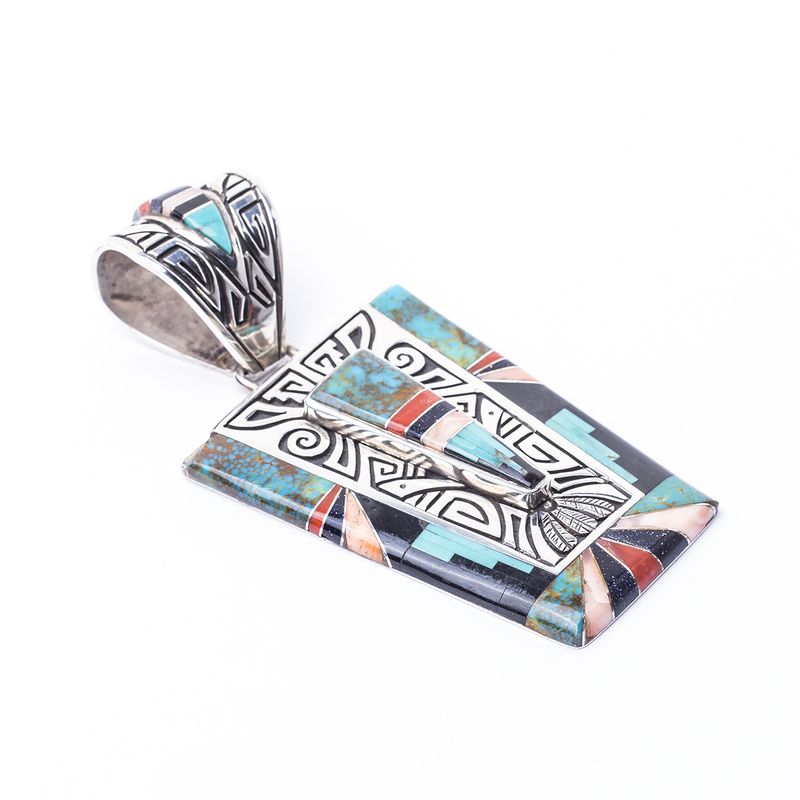 This particular pendant features his signature silverwork in the middle with Turquoise, coral, onyx, and pink spiny oyster inlay on the sides. The bail is heavily decorated, as well. 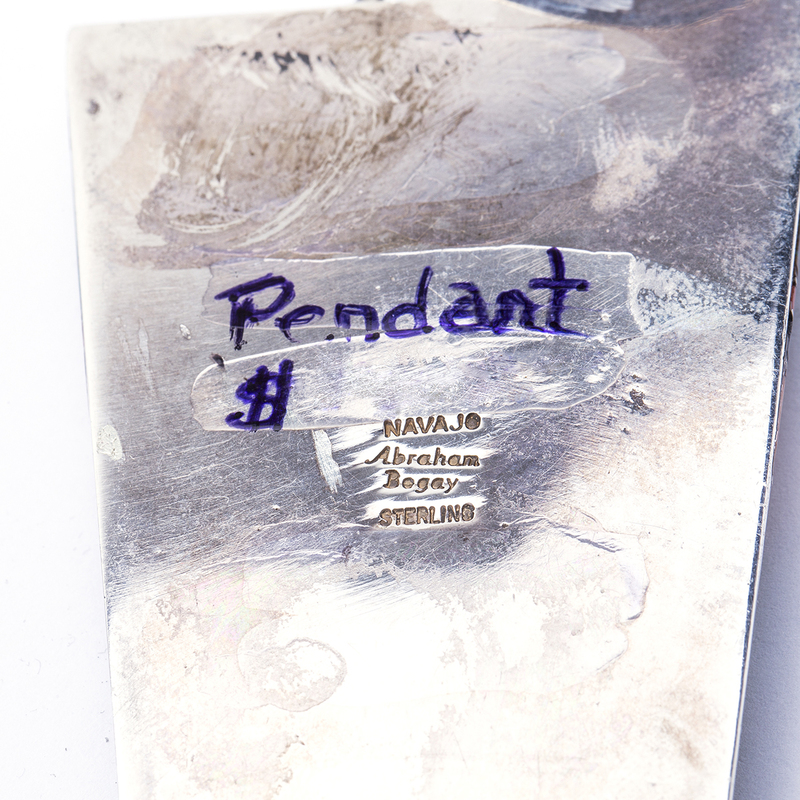 This pendant is hallmarked “Abraham Begay” and “Sterling”. 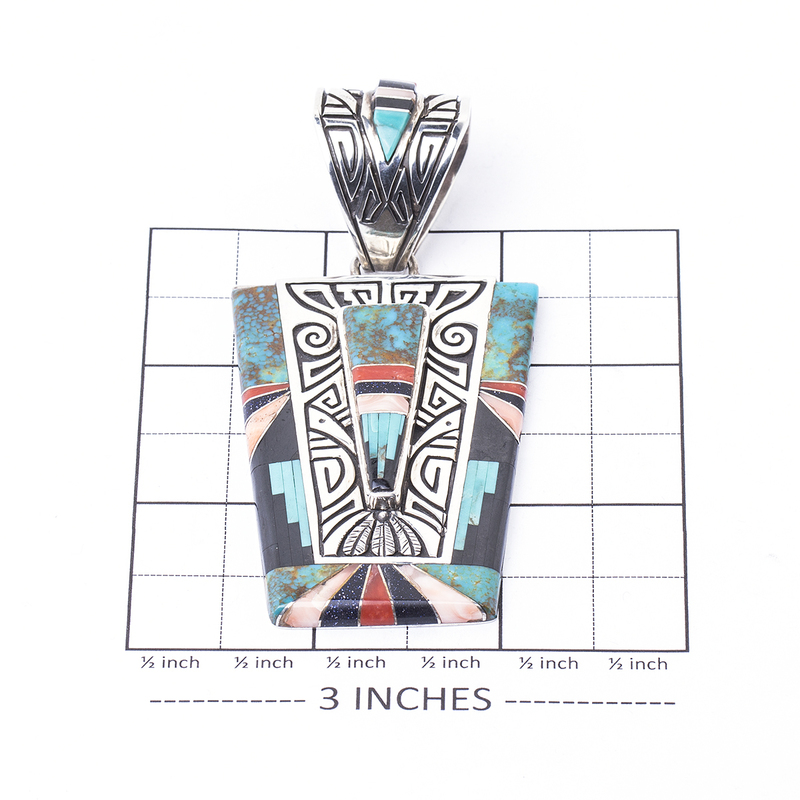 Navajo Abraham Begay Turquoise Pendant features a vibrant array of geometric inlay filled with vivid Turquoise, deep red coral, and light pink Spiny Oyster with a touch of Onyx.